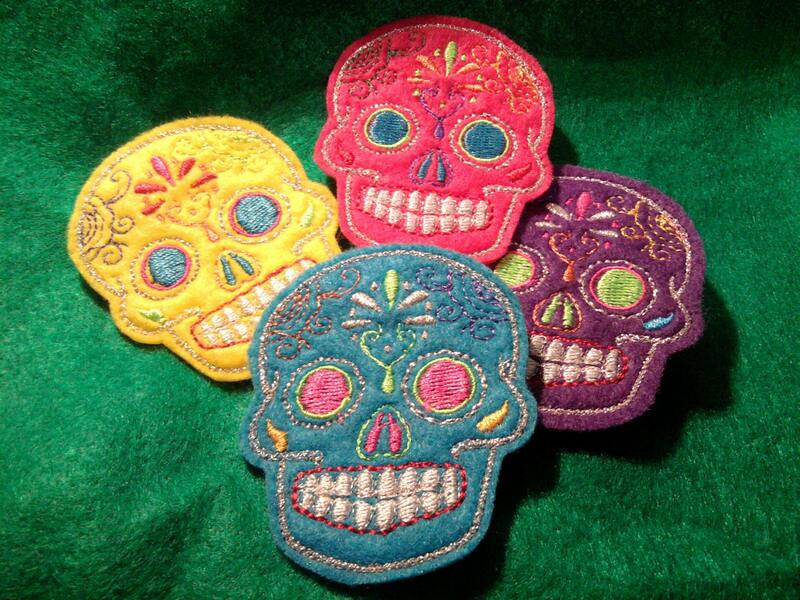 This is the mini version of my sugar skulls, set of four pieces. Colors are vibrant, LOVE IT!!!!! Always beautiful work, fast shipping! Beautiful embroidery, exactly as described! Love them! Thanks. And I can't submit my review without more words, so here they are.